PINEVILLE, La. –The Louisiana Army National Guard recently trained 12 Soldiers on a new virtual simulation marksmanship training system at Camp Beauregard in Pineville, last month. 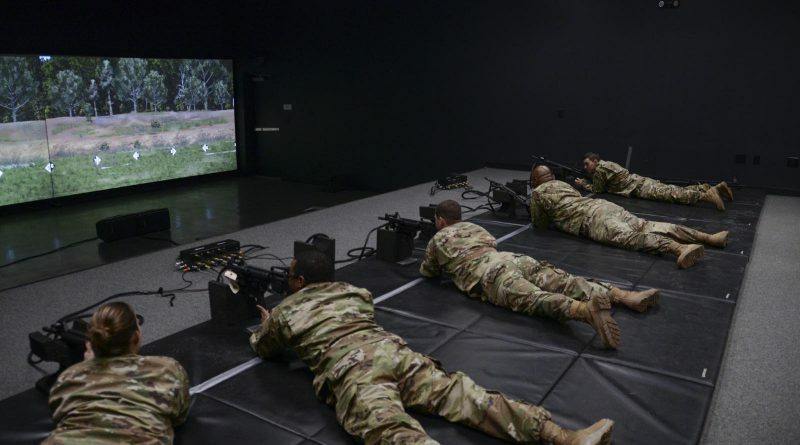 The Engagement Skills Trainer II is designed to assist and improve basic fundamentals of marksmanship, as well as collective and escalation of force training before going to a live-fire range. 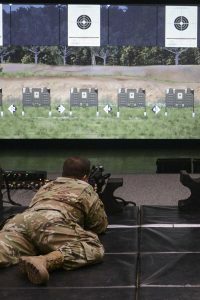 Soldiers training on the EST II can improve their marksmanship skills with known distance practice, reflexive fire, nuclear, biological and chemical fire operations and night fire operations. 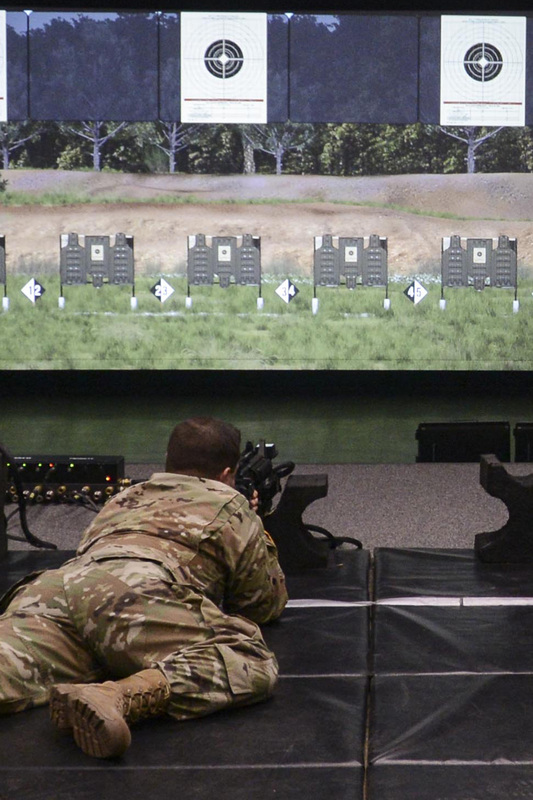 Units can also conduct weapons qualifications or practice before going to a live range on multiple weapons systems, including the M4/M16, M9, AT-4, .50 caliber machine gun, M249 squad automatic weapon and M240B machine gun. Units who train on the EST II can also upload maps from different locations, and are able to alter weather conditions during the simulation. Lamb explained the biggest differences between the EST II and the older EST 2000 are the coaching tools, authoring program and a collective training feature, called Virtual Battle Space 3. 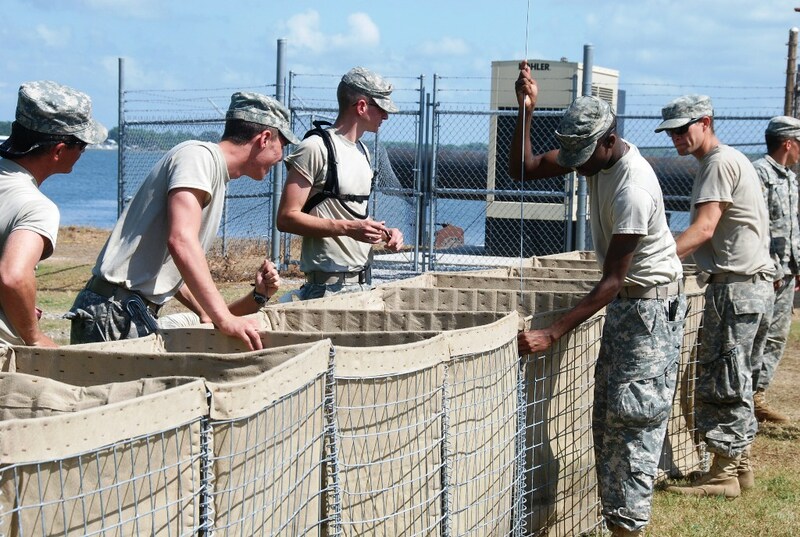 The new collective training element allows platoon or team size elements to execute simulated scenarios such as ambushes, react to contact, patrols or search for improvised explosive devices. 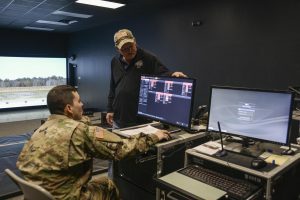 It also adds coaching tools so Soldiers can review their performance after a simulation. 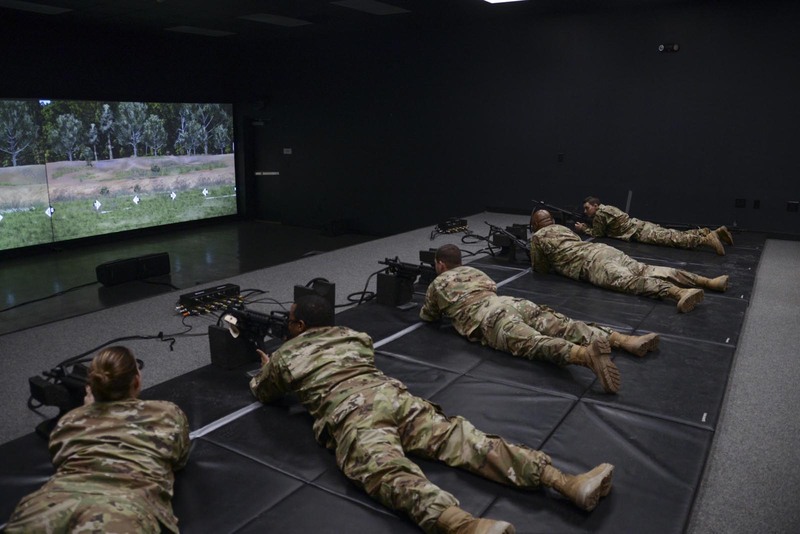 Soldiers training on escalation of force, for example, can use the EST II to train on how to correctly react to scenarios such as riots, civilians on the battlefield or active shooter scenarios. Breaux said that the ability to custom tailor the simulation to different scenarios is especially helpful to train for his job as an MP. Units interested in training on the EST II can contact Operations and Training at 318-290-5687.